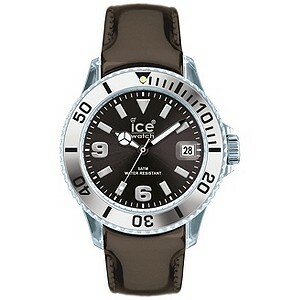 Mens Ice watches are as popular if not more popular than ladies Ice watches. With a fantastic range of mens Ice watches in black, white and a rainbow of colours moulded in silicon/plastic it’s even easier to find a comfortable, funky watch that is simply cool. 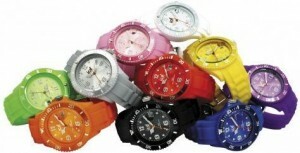 Ladies Ice Watches – How Cool? Like the ladies who wear them, ladies Ice watches have a cool unmistakeable unique style. These ladies designer watches are watches for chic, sleek, modern women who want a watch that matches their image. Ladies Ice watches are dripping with urban cool confidence shrewdly encased in tough but comfortable silicon/plastic that looks great. 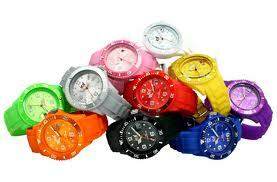 Ice watches aren’t just made of cool funky colours they’re chunky watches fitting snugly to your wrist. The favourite watches of models, actresses and singers from The Saturdays, Ice watches have hit headlines the world over with a unique brand of watches available from shops on the High Street and as part of the collection of watches at Watches.org.uk.